On July 3, 2015, at 9.45 p.m. the Panama flagged "Ever Grand" ran aground at the south pier in Brake. 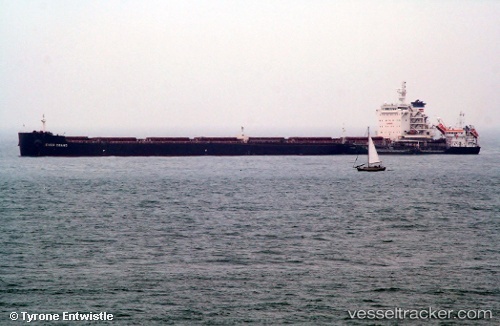 The ship had come from Aratu with a cargo of 60000 tons soy pellets and had a draught of 11,9 meters. When the ship was moored at the bow, the outgoing tide pushed the stern towards the fairway, and it got stuck. Two assistance tugs were unable to refloat the bulkcarrier which was fixed at the pier with more ropes. After about an hour the tide lifted the stern off the bottom, and the tugs were able to get the ship moored. According to first investigations a shallow had built up at the berth and caused the grounding. Ship traffic on the lower Weser was not affected.